All of the speakers for this season are using their talent to impact positive social change. Sarah is a freelancer who has worked with Facebook, Racked, Buzzfeed, and Midtown Alliance. She's worked with a number of non-profit and civic minded organizations. 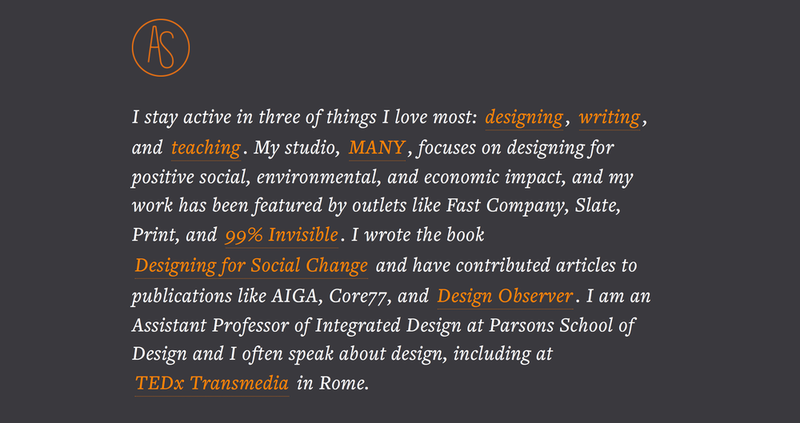 Andrew literally wrote the book "Designing for Social Change". He is an Assistant Professor of Design at Parsons and is the principle at Many, a New York-based communication design studio that prioritizes end users, progressive social agendas, sustainable economic endeavors, and the environment.